Anyone heading into Greenwich along Creek Road might notice a faded old mural. 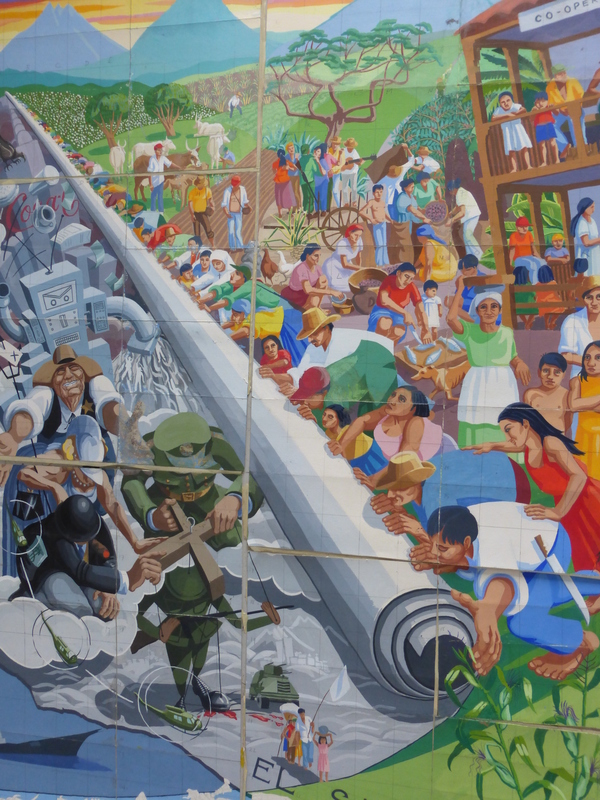 On closer inspection, this large mural, at nearly 14 metres high and 9 metres across, shows a large colourful group of people rolling away the scene of war and poverty to reveal a happy and plentiful country. 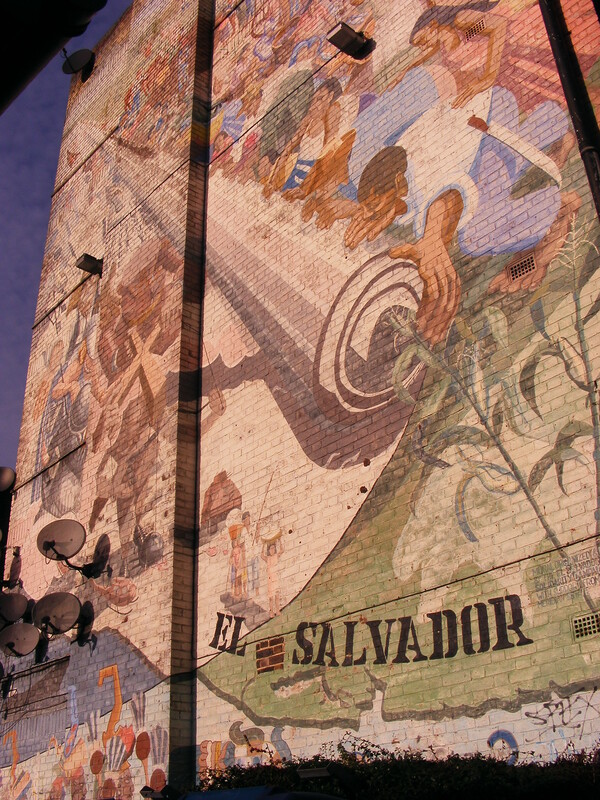 Created in 1985, the mural is called “Changing the picture” and portrays the people of El Salvador ‘affecting change within their own lives’. 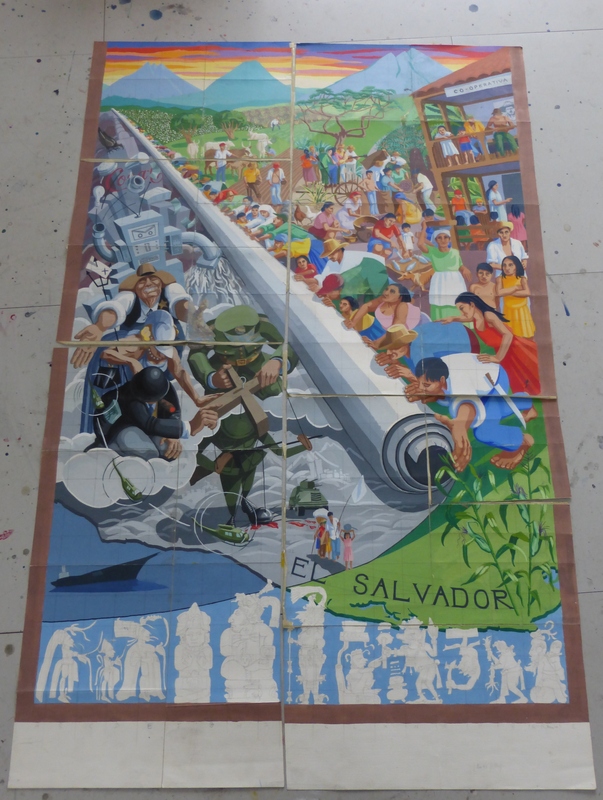 It was commissioned by the Cultural Commission of El Salvador Solidarity Campaign and funded by the Greater London Council (GLC) and Greater London Arts (GLA). The original design was created by Jane Gifford. She worked with Sergio Navarro, Nick Cuttermole and Rosie Skaife D’Ingethorpe to complete the mural. Gifford’s original artwork shows how vibrant the colours had been. 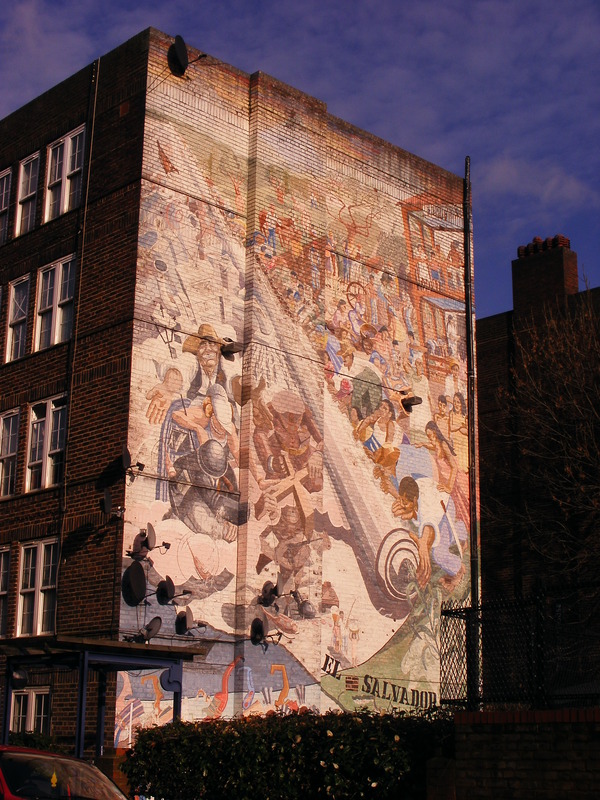 The mural is found on Macey House, just off Creek Road, SE10. It’s not too far from the Greenwich DLR station. Visit now before it fades away! 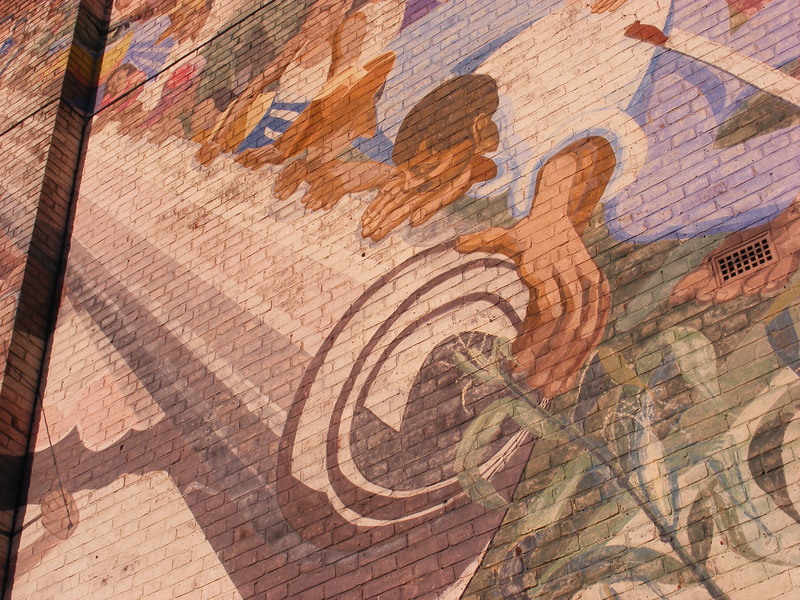 This entry was posted in London Mural Preservation Society, London Murals, Mural of the Month and tagged Community Murals, Greenwich, Jane Gifford, London, murals. Bookmark the permalink.